Every business needs to establish a strong emotional link with its customers. The best way to do this is to create a business brand that conveys those qualities that you want your product or service to represent. Companies like Apple, Google, and Microsoft have built brands that embody their corporate values and which help them to attract new clients. 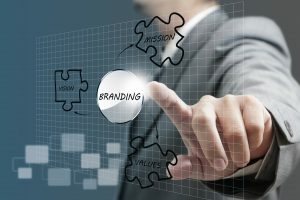 A business with an effective brand strategy can gain a tremendous competitive advantage and even charge a premium on the basis of the trust that its name evokes. But how can you build your business brand and what exactly should it convey? What does your company stand for? What is the first thought that crosses a customer’s mind when seeing your logo? It is important that you decide on the qualities that you want your brand to be associated with. This may require you to carry out some market research or create a profile of your target customer. Once you have done this, your brand strategy should revolve around getting your message across to your existing clients as well as those whom you are targeting. Remember that you can’t be everything to everybody. Define your brand and remain consistent about what you are projecting. Slogans like KFC’s “Finger Lickin’ Good” and Google’s “Don’t be evil” have gained wide recognition. Developing a catchy motto will make your customers think about you the next time they require the product or service that you sell. Writing in 7 Things You Can Do to Build an Awesome Business Brand, bestselling author Shama Hyder advises companies to develop a motto that condenses what they stand for into a few words. The mileage that your brand can get from a snappy and crisp motto can be remarkably high. Similarly, getting your company logo right is essential. Your logo should be instantly recognizable and it should be a reflection of your brand’s identity. It’s a mistake to assume that developing a great logo is expensive. logo contest describes the different types of logos that you can have and gives you various options for making them. Having a logo contest for design is also a good idea. Entrepreneur Sir Richard Branson has built a multi-billion business empire on the back of the Virgin brand. He has popularized his companies by carrying out a number of outlandish marketing stunts. These include trying to fly around the world in a hot-air balloon and driving a tank down Fifth Avenue in New York City. While most entrepreneurs may not go to such extremes to get attention, your company can increase its business volumes only if potential customers get to hear about you. A brand that is instantly recognized and accepted by customers can give you an edge over the competition. But building your brand can be a difficult exercise and it is hard to measure the results that you have achieved. Despite this, it is essential to devote adequate time and effort to this exercise. A brand that reflects your company’s personality and resonates in the minds of your clients is one of the finest assets that you can build.